The prestigious PATA Travel Mart 2016, which is one of the international tourism industry’s must-attend contract shows, will be held from 7th to 9th September 2016 at the brand new Indonesia Convention Center (ICE) venue at BSD City, Tangerang, in Banten Province, lying just at the outskirts of Indonesia’s capital city Jakarta. BSD (short for Bumi Serpong Damai), although located in a separate province from Jakarta, may, however, be better described as a new suburban city on the fringe of this sprawling metropolitan city. 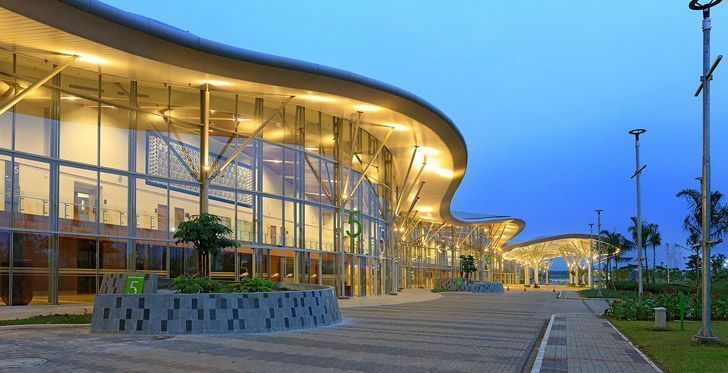 BSD has beautifully laid out shady avenues, luxurious houses with green lawns, appealing malls and shopping centers with numerous restaurants and cafes, schools and clubs and its latest star addition, the huge Indonesia Convention Center which also provides ample space for exhibitions. Easily accessible by toll road BSD is just over half an hour’s drive from Jalan Sudirman, Jakarta’s main, central avenue. Hosted by the Ministry of Tourism of the Republic of Indonesia, the Province of Banten and PATA Indonesia Chapter, PATA Travel Mart 2016 is expected to attract over 1,000 delegates from more than 60 countries. The PATA (Pacific Asia Travel Association) Travel Mart is Asia Pacific’s premier travel trade show, featuring unparalleled networking and contracting opportunities to help travel and tourism organizations access decision makers from around the world, meet new clients, expand networks and build or maintain existing relationships. Held in September every year, PTM showcases travel products and services from the Asia Pacific region, drawing interest from a broad cross-section of world class experienced, pre-qualified buyers. PATA Travel Mart (PTM) 2016 is the industry’s B2B contract show particularly featuring established and emerging destinations in the Asia Pacific from China,, Japan, Korea to the ASEAN countries, Australia, the Pacific Islands and South Asian countries. It will feature two full days of over 10,000 pre-matched appointments across the event facilitated through PATA’s custom business matching software, exclusive access to the 300+ community of qualified hosted international buyers, opportunities to engage with more than 1,000 delegates from over 60 destinations across the globe, and to socialize throughout the events at the Network Lounge, dinner receptions, late night functions and during the complimentary pre- or post-tours. Participants can also keep abreast of industry updates at the Travel Innovation Forum, Responsible Tourism Forum, and the new Blogger Forum, alongside PTM Talks, a series of 20-minute ‘power’ workshops/seminars on topical issues. PTM also features the PATA Youth Symposium – a half day forum offered to students and young professionals to engage with industry professionals during plenary talks and roundtable discussions. There will also be the prestigious PATA Gold Awards Ceremony which recognizes and rewards outstanding achievements in the travel industry in the Asia Pacific region in a broad range of categories. Unlike other travel trade exhibitions, PTM offers delegates a different host destination each year, showcasing the rich cultural diversity of destinations across Asia-Pacific while bringing together a new set of buyers and sellers to every show. For PATA Mart 2016, Indonesia will this time highlight the country’s Marine Tourism resources and destinations since, as a huge archipelago Wonderful Indonesia offers magnificent and unforgettable underwater diving opportunities besides swathes of white sand beaches alongside great swell for surfing, and islands galore to explore by yachts or cruise ship. More information available at: www.patatravelmart.com.